The vibrant and hyper-trendy Sandton is a modern day success story - a business improvement district that has been developed to enhance your experience of this key area of Johannesburg. Sandton has emerged as a national trade area and is renowned for its high priced property and high profile homes and home owners. Buying a property or house in Sandton will never leave you at a loss for what to do in and around the Sandton area. Sandton has evolved into the new financial hub of Gauteng and South Africa and has emerged as Johannesburg’s premier business centre. Much of the financial focus of Johannesburg migrated from the old Johannesburg CBD to Sandton particularly in the last 2 decades. Sandton has also become known as a "new money" area largely due to the areas residents many of whom are seen as Captains of industry. 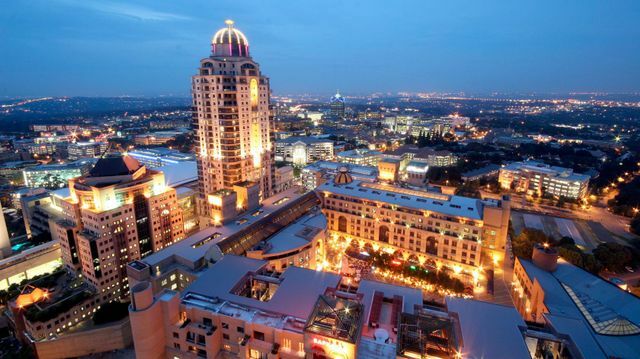 A high percentage of the city's top end A-grade office space is found in Sandton. The JSE - Johannesburg's stock exchange, relocated to Sandton from the Johannesburg CBD in the 1990s. Buying property in Sandton is a wise decision if you need to be close to all the amenities in and around the Sandton area. The Michael Mount Organic Market is famous for its items that are handcrafted using natural materials, as well as the organically grown, fresh produce and preservative-free foodstuffs. The Peacemakers museum presents an exhibition of Nobel laureates, men and women from all corners of the globe who have dedicated their lives to make the world a better place. The Liliesleaf farm was key to the political and military policies and strategies of the ANC during Apartheid. Numerous debates and meetings were held and some of South Africa's most prominent leaders of the struggle against Apartheid found shelter here - these included Goven Mbeki, Joe Slovo, Ruth First, Harold Wolpe, Denis Goldberg and Nelson Mandela. The Manhattan Club offers customers a club environment that is as classy and fast-paced as its name suggests. Tanz Cafe is the number 1 live entertainment venue, restaurant and bar, situated in the heart of Bryanston where you can enjoy traditional Argentinean cuisine and live entertainment. Experience the wonder of the MonteCasino Bird Gardens - the only facility of its kind in Africa. Here, families and nature-lovers can marvel at the largest and most diverse private collection of African cycads in the world and a collection of over 142 species of birds. At Benmore Gardens you will find everything you need from the indulgent to the everyday mundane. Situated on four levels this recently renovated centre in the heart of Sandton is a world class shopping experience. Just next to Sunninghill, in the little suburb of Paulshof, you will find the 25 hectare green space known as Rietfontein Nature Reserve. It is also where FreeMe Wildlife Rehabilitation Centre is based; they heal and return to the wild a fair number of birds. If you can imagine it, then you’ve pictured Sandton City, one of Africa’s leading and most prestigious shopping centres. Sandton City offers an unparalleled shopping experience that combines the world’s most desirable brands with everyday leisure and entertainment. 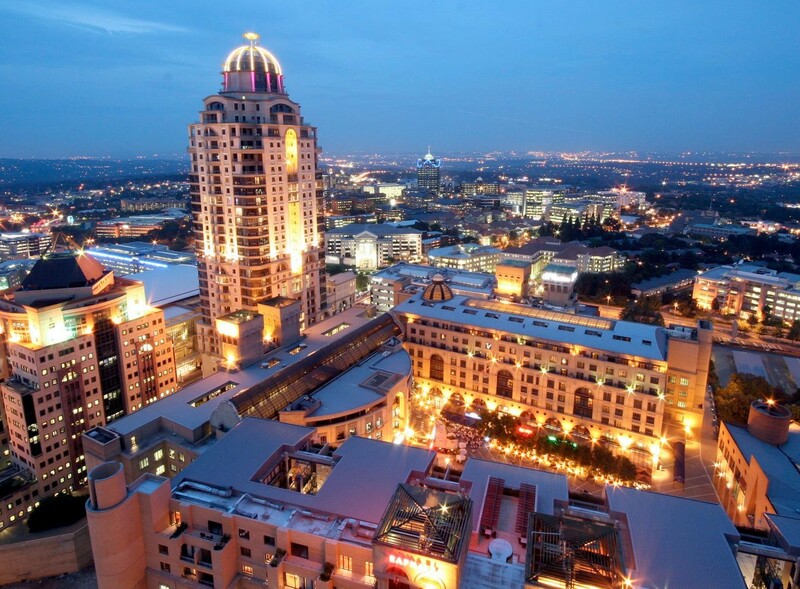 A shopaholic’s paradise – Sandton City is a shopping sensation. This three-tiered tower is a maze of escalators and lifts and, with nearly 300 stores under its roof, is a one of a kind experience. As you make your way through the spacious malls you are surrounded by a delightful array of shops; greeted by the chic sophistication of the exclusive boutiques, the vibrant stores displaying cutting-edge décor and designer labels, the medley of restaurants. As the spacious mall winds its way through a delightful array of eclectic shops, you're greeted by everything from chic sophistication to décor and designer labels, from curios to culture, it's art and African couture, jewellery and books. Sandton is also home to the Sandton Convention Centre, debatably South Africa’s premier convention centre and one of the largest on the African continent. This exclusive venue has hosted numerous international conventions and functions and is yet another reason for the popularity of property in Sandton. As you can see, buying a property or house in Sandton will never leave you at a loss for what to do with the vast choices on offer in and around the Sandton area! Sandton has so much to offer and with all the properties for sale in Sandton that we have listed, you will certainly be able to find a match. 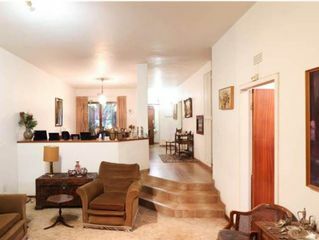 We have property for sale in Sandton that will suit both your budget and your lifestyle. If you are interested in comparing Sandton Properties please view our available properties in Sandton to buy or to rent.